The Scientific Committee of CECON 2015 invites all participants wishing to contribute to the scientific program to submit an abstract of 350 words or less for presentation as a paper or poster. Abstracts must be submitted by the below deadline. Abstracts received after this date will not be considered. 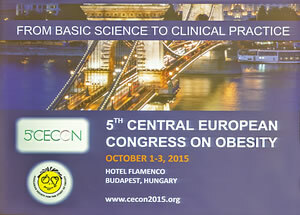 The abstracts will be included in the Congress Proceedings, which will be distributed at the Congress. Title: Entire title in capital letters without abbreviations. Presenter: Entire title in capital letters without abbreviations. Authors: Give your name without title or degrees, separate authors by a comma. The presenting author's name should be included here also. Authors not listed will be omitted from published materials. Purpose: Begin with a short statement of the purpose of the study. Materials or Subjects Describe the materials or subjects examined. Outcome Measures Describe the outcome measures relied upon. Methods Follow with a concise description of how the project was performed. Results When reporting the results, describe what has been learned, not what is hoped will be learned. The phrases "will be discussed" and "will be presented" are not acceptable. Abstract Size The abstract should not exceed 350 words. No abstract with deferred outcome data will be considered. If data is to be presented, it must appear in the original abstract. Preference will be given to clinical outcome data based upon randomised controlled clinical trials. No preference Both oral or poster format are accepted by the author. The Scientific Committee will decide on final presentation format. Abstract submission is temporarily not available due to moving of the server to a new location. We need a couple of hours till we finish our work, so please come back later to submit your abstract.